Tor (The Onion Router) is a system intended to enable anonymity online. The idea is to bounce our internet traffic through a worldwide volunteer network of servers to conceal a our location or usage from everyone. From Wikipedia: "Onion Routing refers to the layered nature of the encryption service: The original data are encrypted and re-encrypted multiple times, then sent through successive Tor relays, each one of which decrypts a "layer" of encryption before passing the data on to the next relay and, ultimately, its destination. This reduces the possibility of the original data being unscrambled or understood in transit." The Tor project was originally developed for the U.S.Navy with the purpose of securing communications over the internet. Today, Tor is used for a wide variety of purposes by regular people, the military, journalists, law enforcement officers, activists, and many others in order to keep their activities private, to stop websites from tracking them or visit sites that are blocked by their local Internet providers. Tor also offers the Hidden Services which basically make it possible for users to hide their locations while offering various content. This content will, however, only be available to other Tor users. This way both Content owner and people browsing are protected. This is a good way to bypass censorship in countries that monitor and limit internet users. Although the first versions of TOR weren't the simplest to set up and use, for most mainstream uses today's versions are as simple as download and click. and download the Tor Browser Bundle. The good thing about the Tor Browser Bundle it that it lets you use Tor without needing to install any software. It can run off a USB flash drive, comes with a pre-configured web browser to protect your anonymity, and is self-contained. Great ! If you choose to, you can still create you own setup by downloading relevant projects from the software and services page. 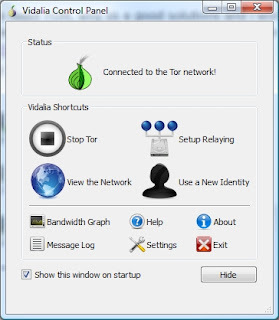 It will initialize Tor by running the Vidalia program. Once set up the Tor Browser will open and you are free to start browsing. Notice that although resembling the firefox browser it is limited. No plugins are loaded since plugins such as Flash, RealPlayer, Quicktime, and others can be manipulated into revealing your IP address. Now that we have Tor running we can browse sites securely But this is not the point of this post. We want to check out the Tor Hidden Services which is the Tor Darknet. the hidden services sites use the .onion domain suffix which acts just like a top level domain (.com, .org, .net, etc), but is not accessible like a normal webpage. Another thing you should notice about the .onion urls is that they are randomly generated and do not make out anything, so in order to find a site you need to know the exact address. An example is the url http://idnxcnkne4qt76tg.onion/ which is not accessible in you normal browser but using the Tor browser you reach the Tor Project website in the Darknet, but thats not the point. For content you cant see in the "normal" internet you need to have prior knowledge of the DarkNet, I compiled a few links. http://kpvz7ki2v5agwt35.onion - The Hidden Wiki - a great place to start that contains a lot of information on .onion sites including more links. http://xmh57jrzrnw6insl.onion/ - TORCH, a tor search engine that claims to index over a million pages. 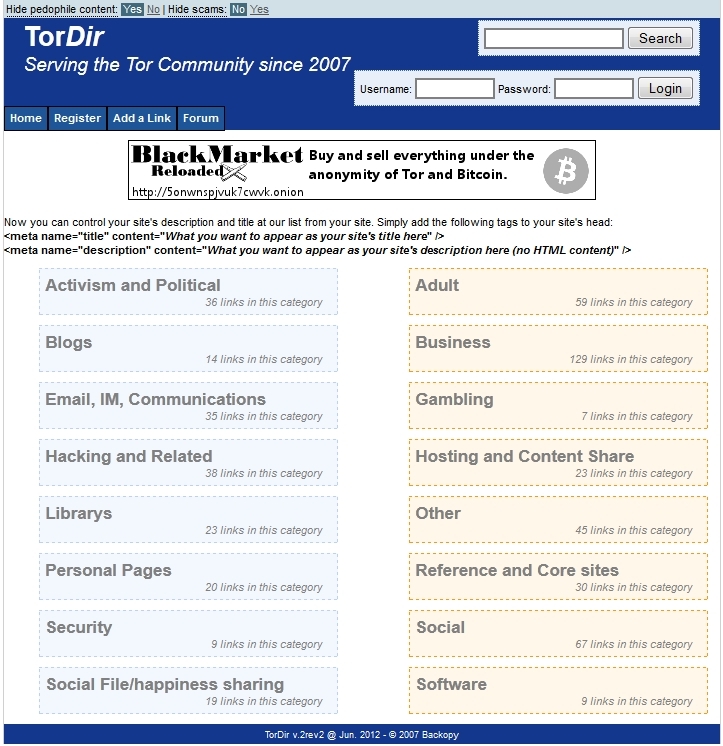 http://dppmfxaacucguzpc.onion/ - TorDir, a great tor services directory to get you started. 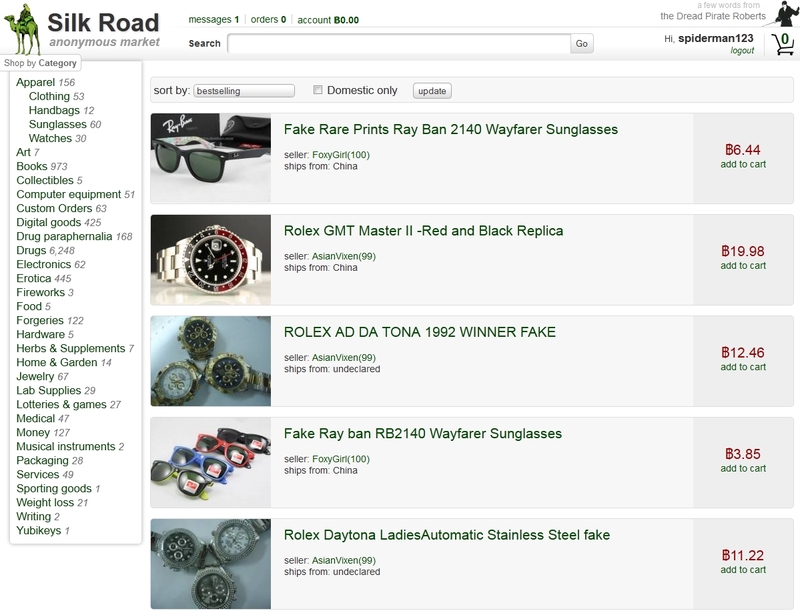 http://silkroadvb5piz3r.onion/ - The Silk Road - a marketplace where you can find almost anything to buy. In order to make an order however you need to get bitcoins. 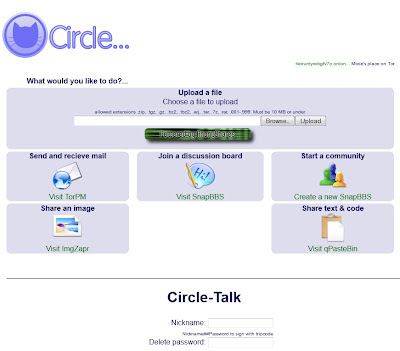 http://4eiruntyxxbgfv7o.onion - Circle, used to be just TorPM for secure Messaging now they offer a few more cool services. That should be enough to get you started, feel free to add more cool .onion links in the comments. If you're just curious about the DarkNet and just want to take a quick peek, you can use onion.to as a proxy from normal web to the DarkNet without needing Tor itself. Take the .onion link you want to visit and append .to to the domain. Its that simple. Keep in mind that using onion.to does not protect your privacy and that your actions will be in the open. I have little knowledge about hardware but this is a helpful post! I will be doing a custom writing project about this topic. Remember that most writers and writing services are looking for this type of information. The boom essays mentioned in article also step forward into their service.